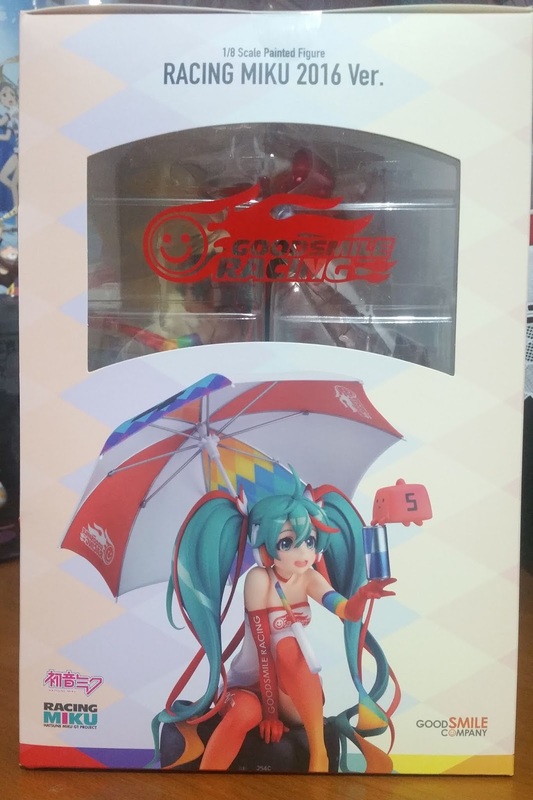 If you remember this as the Racing Miku that was delayed nearly a year, you're right. 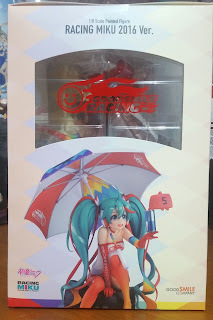 It's been quite some time since I received this figure but I've only find time to open this recently. 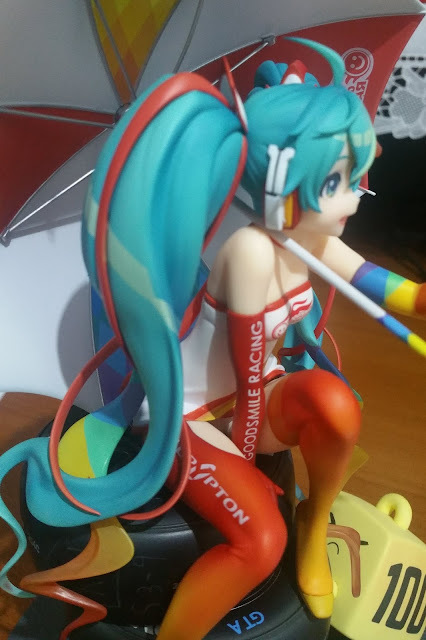 The part that I love best about this figure is that she isn't sculpted to be viewed as looking at you, which is what most figures are meant to do. 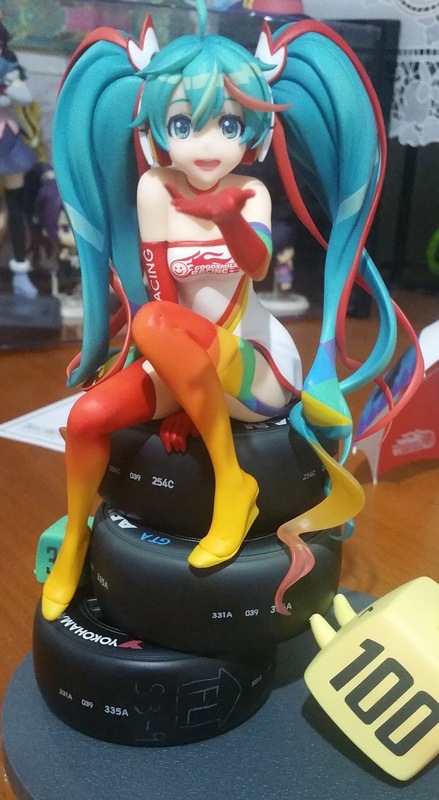 This makes her unique to me, and the main reason why I got her. 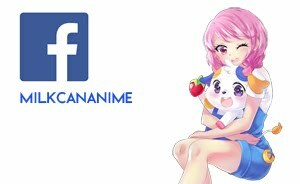 Now, let's look at other reasons why she is awesome. 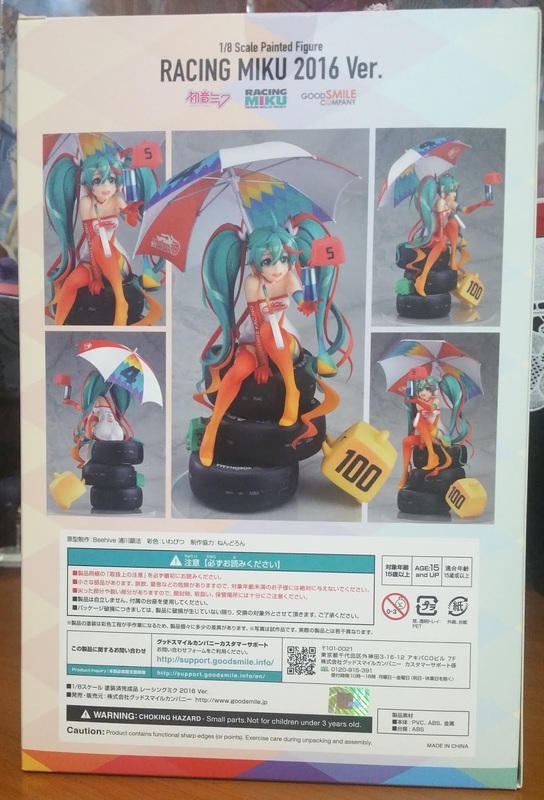 She comes with a full plastic window in front to allow you to view the whole figure, and it also shows the few important accessories that comes with her, such as the tires on the base and the weights, as well as the huge umbrella behind her. 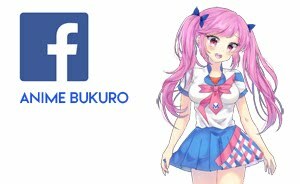 Having all these parts also means that she has quite a bit to be assembled. Unlike the other Racing Miku Nendoroids, this follows an illustration and does not come with a race car. 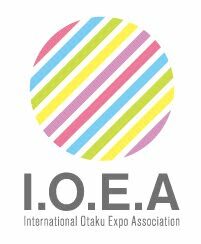 However, they placed a lot of emphasis onto the vibrancy of the colors used as well as the box design. 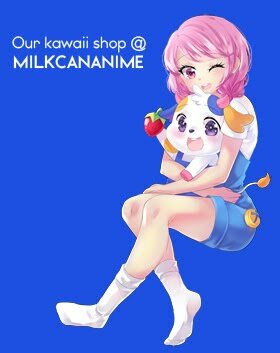 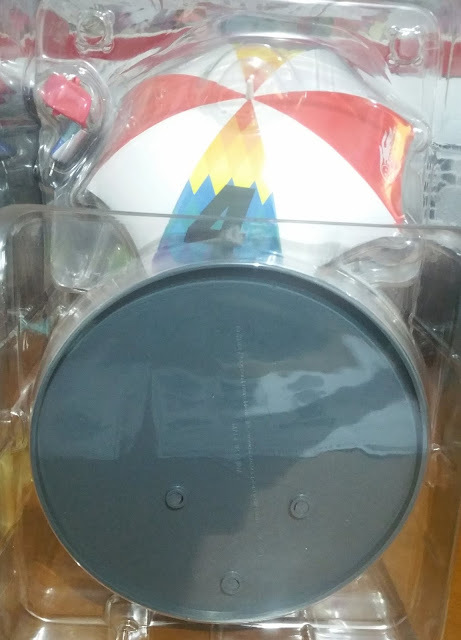 There is a different design on each side of the box and the bottom of each side has a rainbow border which serves to make the colorful figure even more vibrant. 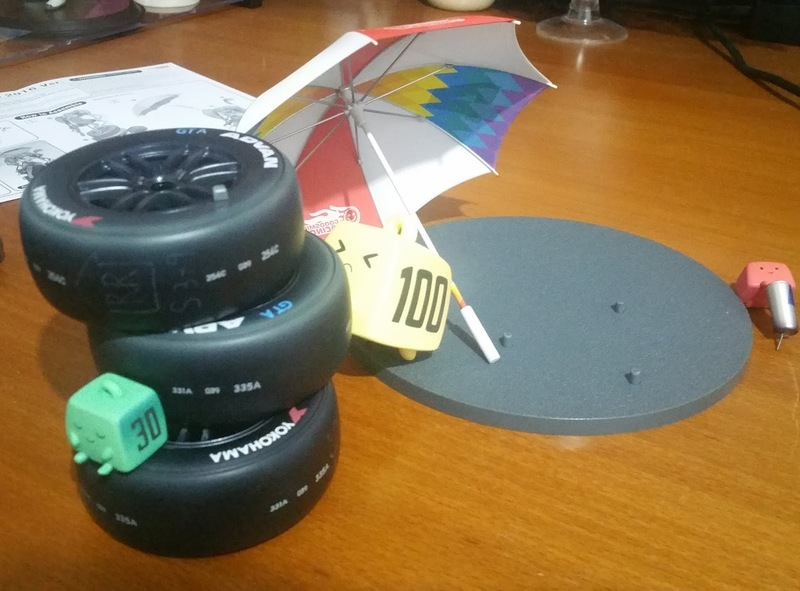 The blister itself is also very sturdy and there are several layers to it to hold the figure, weights and drinks, as well as the umbrella, plain base and tires separately so as to minimize damages during transport. The umbrella also comes with its own additional clear plastic support to help stabilize it within the blister. 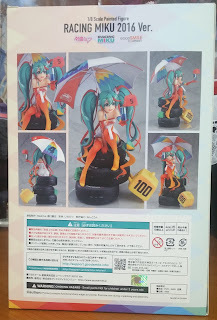 These are all the additional parts which the figure comes with (excluding the main figure herself, of course). 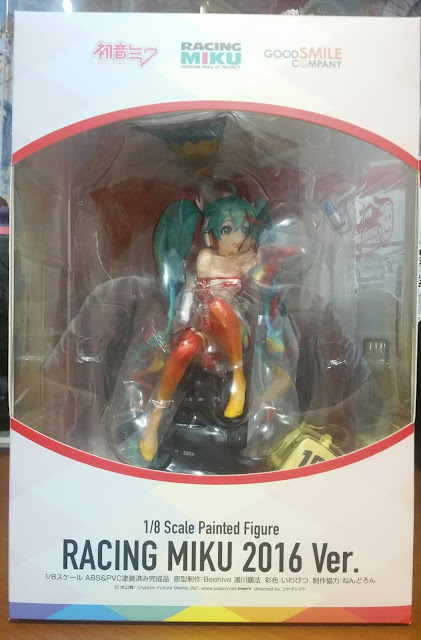 Though Good Smile Company also comes with a detailed instruction sheet on how to position the accessories, I'll cover some of the basics here, and have a proper review on the quality control of the figure in a separate post. 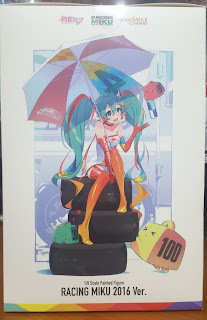 The first part to this is to either attach the tires to the base then attach Miku on the tires, or attach Miku to the tires then the whole thing to the base. 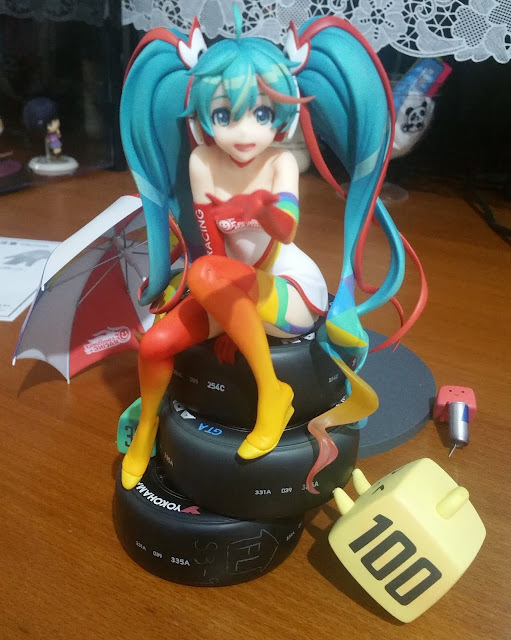 I chose to perform the latter since my copy of Miku didn't have the best peg and peg-hole match up to the tires, but you can obviously choose to do either. 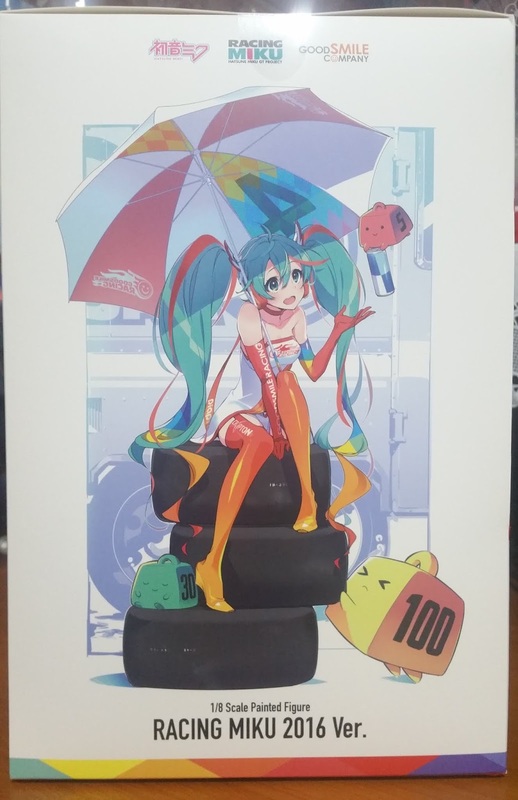 Miku is joined to the tires with a single peg, demarcated by the green arrow on the image above. 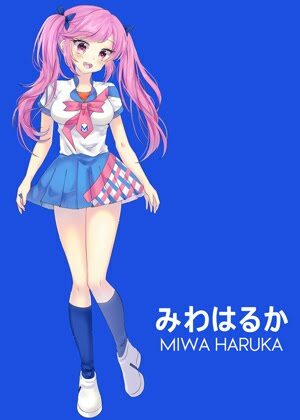 After putting her in place, make sure that her left foot is on the second tire and her right foot is on the bottom-most tire. If your Miku does not like up, you might have her feet dangling slightly above the tire, which may appear unnatural, so if you have no qualms against tight pegs, go on and wiggle her tighter in place. 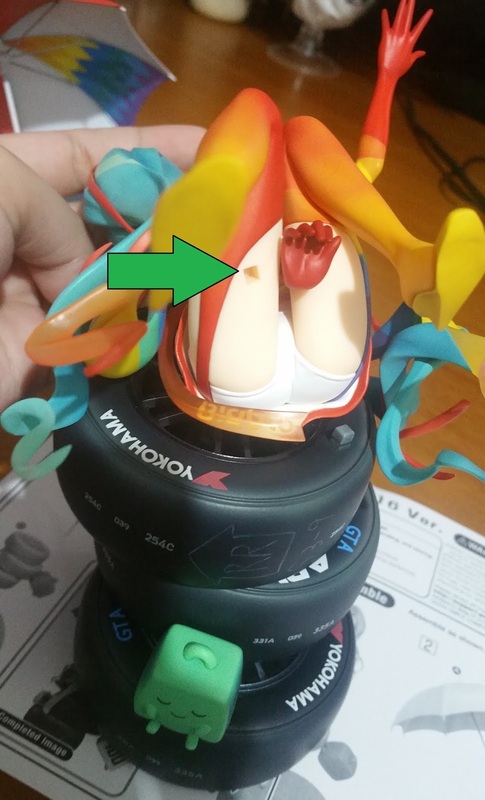 This peg is not that fragile. Next would be joining the tires to the grey circular base. 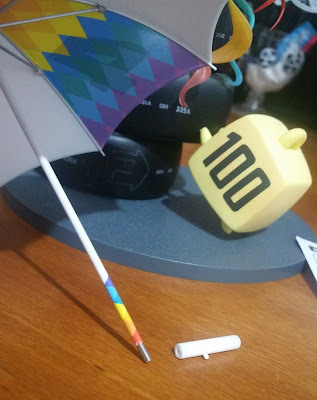 Something to note here is that the rightmost peg hole (the one closest to the yellow weight) is smaller than the rest, so you will have to match up the whole ensemble perfectly. 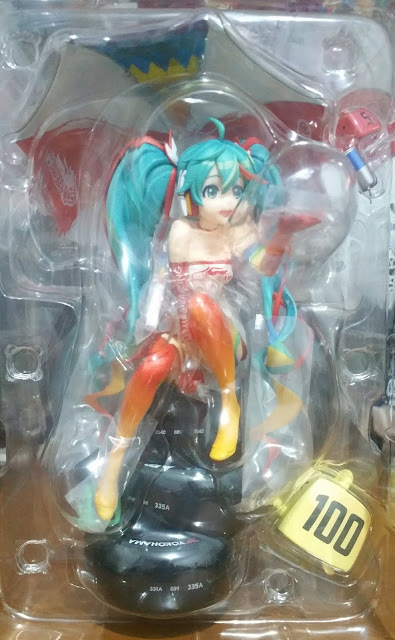 This might also be where it gets tricky if you have attached Miku to the tires first as it might interfere with your ease of pressing down the tires flush against the base. 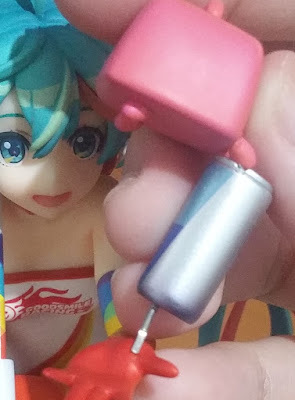 But think about it this way, having these different sized pegs also helps ensure that your Miku would be facing the way she is supposed to face! 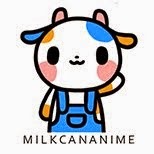 The other next important accessory to put in would be the umbrella. And in case you haven't noticed, we only have two more to go: the umbrella and the energy drinks. 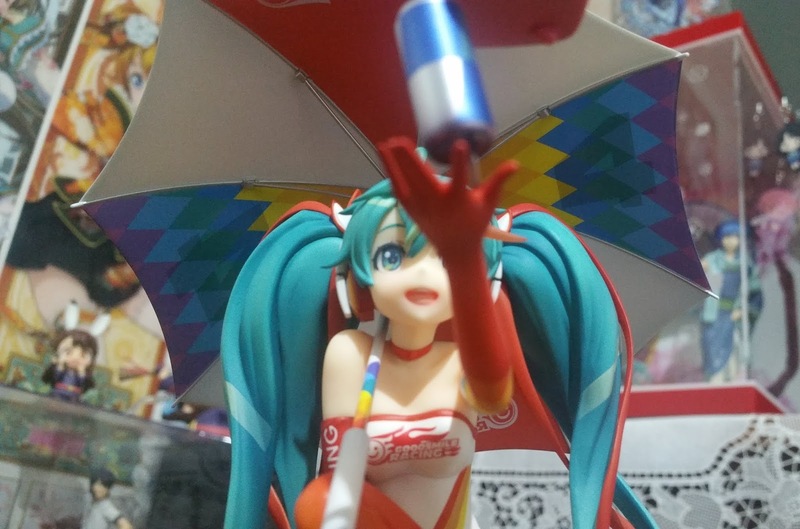 To slide the umbrella in place, simply unscrew the white part of the umbrella and this will allow it to slide in the gap between Miku's neck and shoulder. The white part also comes with a peg that would attach to her left knee to keep the umbrella in place as well. 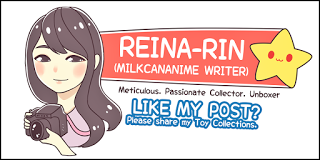 As the peg hole is difficult to capture well on camera, I'll leave that part out. The last and final part to this assembly would be to attach the can to Miku's left hand, and the thin grey peg also helps give it a "floating" image. This is by far the hardest part of the assembly to me and of course, since the peg is so thin, you would have to be extremely careful when handling it. 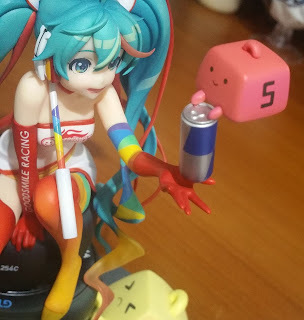 Once the peg is in place, you can then rotate the accessory to have it facing Miku. 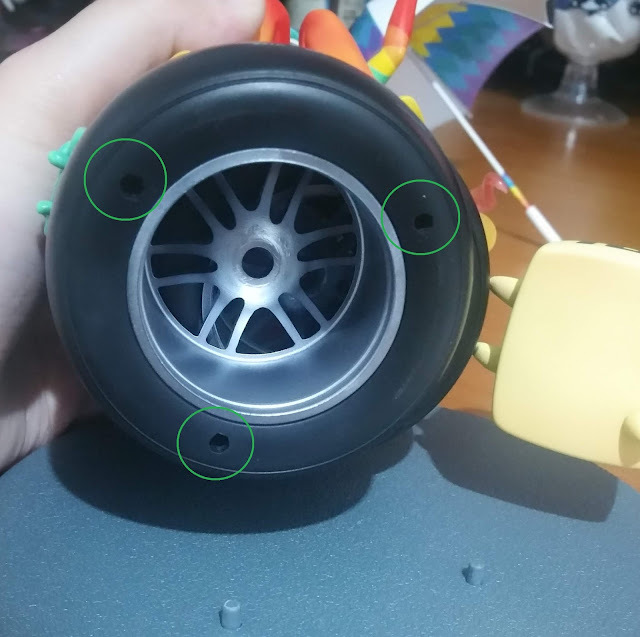 Do ensure that the whole thicker white portion of the peg is in place before doing so though! 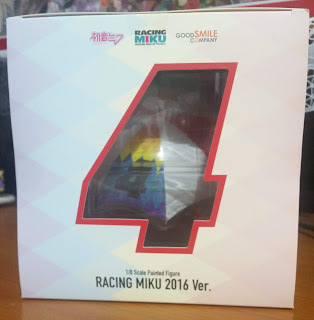 No Comment to " Figure Unboxing and Review: Racing Miku 2016 version Scale Figure (Assembly) "